Patrick Smith’s column, Ask the Pilot is almost always an acerbic look at the airline industry with its many foibles and Alice in Wonderland rules and regulations. But the regular contributor to Salon, the award-winning online news site, also provides helpful insights into basic questions such as: Are Pilots Ever Afraid of Crashing or what do all those bells mean during a flight. Human stuff that’s reassuring and informative. And he reported that the TSA in its wisdom, also confiscated: a teen’s handbag because it had an embroidered handgun design; a liquid-filled baby rattle belonging to a pilot’s infant child and in what Smith calls the most ridiculous example of all, the TSA took away a toddler’s plastic “Star Wars” lightsaber. The good news, Smith reports, is that the Federal Aviation Administration (FAA) has released its new rules on pilot fatigue and mandatory rest periods. 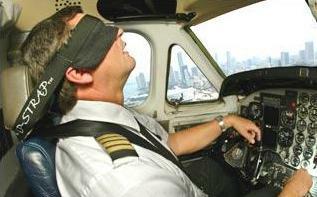 At the present, pilots’ rest periods are eight hours. But the clock begins ticking when his/her flight shuts down at the gate. Then the pilot has paperwork to complete, get a shuttle or cab to the hotel, check in, eat and grab some sleep, all of which seriously cuts into the mandatory rest period. Mindful perhaps of the horrific Colgan ( Continental) air disaster in Buffalo, NY, in 2009 where crew and pilot fatigue may well have contributed to the tragedy, the FAA now requires pilots to have a 10-hour rest period, which makes it easier to get a solid eight hours sleep. But lest anyone think the government gets it, Smith reports that the new rules don’t take effect for two years. The airline industry says it needs to adjust to the new regulations. Two years? And the rule doesn’t apply to cargo planes, which would seem a very obvious case of illogic. But we’re talking government here.